Resident Evil fans have been waiting for over four years for the next Resident Evil title, to follow-up the disappointing Resident Evil 6. Fans of the series have been waiting even longer for a worthy Resident Evil game, with many claiming the last enjoyable game in the series was Resident Evil 4. Resident Evil 7 delivered on most of the expectations of gamers and signaled a change of direction back to the roots of what made the Resident Evil franchise an unparalleled legend in horror-action gaming. The first person perspective allowed for PSVR users to immersive themselves in a world full of blood, gore, and dead carcasses. Resident Evil 7 received numerous glowing reviews, with many highlighting their thrilling experience of playing the game with their PSVR headset. VR is nowhere close to dead, and Resident Evil 7 is just the beginning of many great games that players will be able to experience through VR. Resident Evil 7 is not a PS4 exclusive game, but the ability to play the game through PSVR is an exclusive feature that is definitely contributing to RE7‘s great sales. Resident Evil 7 is expected to sell 4 million copies by the end of the financial year. A main contribution to future and past sale numbers are PS4 players who were brave enough to pick up the game, just to plunge themselves in a world full of horror through the use of PSVR. Nearly 10% of Resident Evil 7 gamers have played the game using the PSVR headset. The percentage is rather impressive given that the game is not PS4 exclusive, which means Xbox and PC gamers are included in the over total. Also, PSVR headsets have been hard for PS4 gamers to come by, with the headsets almost always being sold-out as soon as they are re-stocked for purchase. 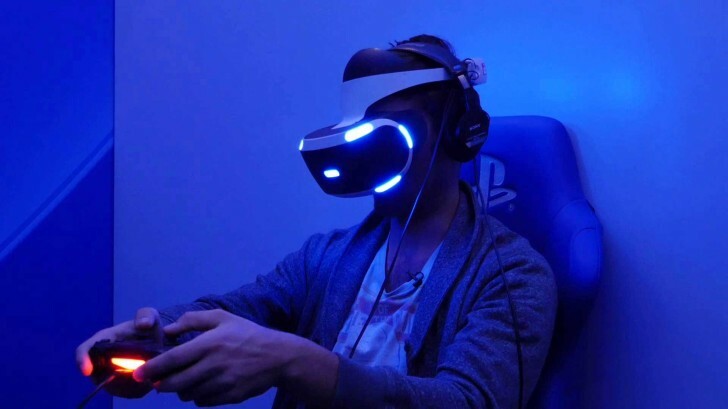 After the demo gameplay of Resident Evil 7, there was some concern that gamers would be unable to make it through the entire game using the PSVR headset, because of motion sickness. Capcom took note of the numerous gamers who experienced motion sickness and implemented changes to fix the issue. The default setting for the VR in the game reduces the motion of the game in order to ensure that gamers are not puking every 30 minutes; players who are not susceptible to motion sickness, can change the settings. Resident Evil 7 is not just another VR game, which have tended to play more like demos than games. Players are able to peak around corners, causing their character to do an in-game lean. Gamers can get a better look at objects or photographs by moving their head forward. Resident Evil 7 is exactly what the gaming community envisioned in a game when PSVR was released. Resident Evil 7 is the perfect example for proving why VR is far from dead. Players want to be as immersed in the game as possible and VR is the perfect avenue to accomplish that goal. Many games are currently being developed to allow users to experience the entire game through their VR headset; Developers who were not planning on implementing VR into their titles, will likely be rethinking their strategy after seeing the positive reception from fans who enjoyed their experience in Resident Evil 7. Resident Evil 7 has helped to prove a strongly held belief by many gamers who have been fortunate enough to experience VR; VR is here to stay and it is crazy to count it out.